Named in 2014 one of the top 20 women in the USA working in philanthropy, social innovation and civic engagement, Cathy Clark has been an active pioneer, researchers, educator and consultant for over 25 years in the fields of impact investing and social entrepreneurship. She serves as Faculty Director at the Center for the Advancement of Social Entrepreneurship (CASE) at Duke University’s Fuqua School of Business, where she founded and directs the CASE i3 Initiative on Impact Investing and co-leads the Social Entrepreneurship Accelerator at Duke (SEAD), an accelerator working to scale impact of global health ventures in India and East Africa. She is also lead author of CASE’s online learning series for impact entrepreneurs, CASE Smart Impact Capital, and co-author of CASE’s ScalingPathways series, in partnership with the Skoll Foundation, USAID’s Global Development Lab, and MercyCorps. 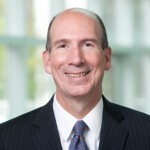 John M. Buley, Jr. is Professor of the Practice of Finance at Duke University’s Fuqua School of Business, and Advisory Committee Chair of the Center for the Advancement of Social Entrepreneurship Impact Investing Initiative. In 2012, John retired from JP Morgan, where he was Head of Principal Investing for Social Finance. As a unit of JP Morgan’s Investment Bank, the Social Finance Group is responsible for investing JP Morgan’s capital commitment of $100mm in impact investments in the Emerging Markets. Prior, John was Chairman and Head of the Investment Committee of JPM Mezzanine Capital, a proprietary investment strategy focused on subordinated debt and equity co-investment for mid-cap U.S. and European companies. JPM Mezzanine Capital invested over $1bn in over 40 private companies in the U.S. and Europe during his tenure. 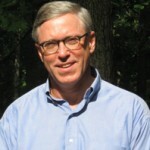 John has held Board of Director responsibilities or Board observer rights for over 20 private U.S. companies. John started his career as an attorney in the banking practice of White & Case. John earned a J.D. from Temple University and an LL.M in International Taxation from Villanova University. John is a member of the New York Bar and admitted to practice in U.S. District Court for the Southern District of New York. David Robinson is a Professor of Finance and the William and Sue Gross Distinguished Research Fellow at the Fuqua School of Business. He is also a Research Associate at the National Bureau of Economic Research and an Associate Editor at the Review of Financial Studies. He earned his PhD and MBA degrees at the University of Chicago, and in addition earned a Master of Science in Economics from the London School of Economics. He is an expert in corporate finance and entrepreneurial finance. His research has appeared in top journals in economics and finance, including Journal of Finance, Journal of Financial Economics, Review of Financial Studies, Financial Management, Journal of Law and Economics, and has been covered widely in the media. He teaches in a number of the school’s programs, and is a past winner of the Daimler- Chrysler Award for Teaching Excellence. 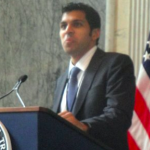 Aaron “Ronnie” Chatterji, Ph.D. is an Associate Professor at Duke University’s Fuqua School of Business and co-author of Can Business Save the Earth? : Innovating our Way to Sustainability, released in May, 2018. 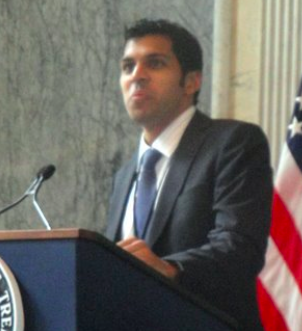 From 2010-2011, he served as a Senior Economist at the White House Council of Economic Advisors (CEA) where he worked on a wide range of policies relating to innovation, entrepreneurship, infrastructure and economic growth. His research and teaching investigate some of the most important forces shaping our global economy and society: entrepreneurship, innovation, and the expanding social mission of business. He is especially interested in the fluid boundaries between government and business, and how public policies interact with the activities of responsible companies, social entrepreneurs, and creative customers. He is faculty affiliate of the Health Sector Management program, the Center for Entrepreneurship and Innovation, and the Center for Energy, Development and Global Environment at Duke University. 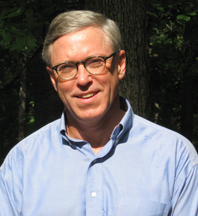 Rick joined The Conservation Fund in 2007 to assist with TCF’s natural resource-based business lending programs. As ShadeFund Director, he heads up ShadeFund’s lending activities nationwide, working with potential borrowers and preparing recommendations for the ShadeFund Loan Committee. He is also NC Program Director for the Natural Capital Investment Fund (www.ncifund.org), The Conservation Fund’s business lending arm that provides patient capital to triple-bottom-line natural resource-based businesses in six Southeastern states. His prior experience includes: Managing Director of SJF Ventures, a $45 M mission-driven venture capital fund based in Durham, NC; National Director, REAL Enterprises, a nationwide entrepreneurship education program for rural youth and adults; and shop floor supervisor and financial controller for the Cummins Engine Co. He is an Adjunct Professor at Columbia Business School and UNC Chapel Hill’s Kenan-Flagler Business School, where he teaches courses on Impact Investing and Financing Social Ventures. He serves on the Board of Fair Trade USA, which certifies Fair Trade products in the US. Rick lives in Durham, NC with his wife Gair and is the proud father of two sons, Justin (a St. Olaf College sophomore) and David (a 7th grader). He earned an MBA from the Yale School of Management and a BA in History and French from Amherst College. 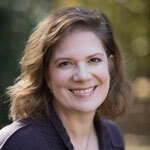 Erin L. Worsham is Executive Director of Fuqua’s Center for the Advancement of Social Entrepreneurship (CASE). She guides the overall strategy and day-to-day operations of CASE, oversees CASE programs, including the CASE Fellows Program, and is responsible for all marketing and communications efforts. Erin was formerly Sector Director, Social Impact & Sustainability at the Career Management Center at Duke University’s Fuqua School of Business. In this role, Erin was responsible for advising students on careers in the social impact and sustainability fields, building and maintaining relationships with strategic partners in these fields, and developing programming to prepare Duke MBAs to have the greatest impact in their careers. Erin brings a unique combination of nonprofit, private and public sector experience to Fuqua. She was an Associate with Booz Allen Hamilton where she led organizational design, strategic planning and business process engagements for federal government and nonprofit clients. In addition to her work at Booz Allen, Erin has consulted with and helped lead nonprofit organizations and social enterprises both in the United States and abroad, developed public-private partnerships at the U.S. Agency for International Development and worked on private sector development issues at the World Bank/International Finance Corporation. Erin earned her BA in Environmental Science and Policy from Duke University and her MBA from the Stanford University Graduate School of Business. Follow Erin on Twitter @ErinWorsham. As Director of Programs, Robyn Schryer Fehrman manages the Social Entrepreneurship Accelerator at Duke (SEAD) and supports overall CASE strategy and operations. Through SEAD, CASE partners with global health organizations, Duke researchers, faculty, and students, USAID and others to build the capacity of global health enterprises to increase their effectiveness, sustainability, and scale of impact. Prior to joining CASE, Robyn had a 15-year career in nonprofit leadership & philanthropy, most recently serving as Executive Director of Teach For America – Eastern North Carolina. Robyn has been active in many boards and task forces focused on education, public health, and environmental advocacy at the local, state, and national levels. She currently serves on the Advisory Board of MyHealthEd, a social enterprise focused on delivering comprehensive online health education to students in rural communities. In 2009, she was honored as one of Triangle Business Journal’s 40 Leaders Under 40. Robyn received a B.A. in English and a Master of Public Administration from the University of North Carolina at Chapel Hill. She lives in Durham with her husband and two children. Follow Robyn on Twitter @RobynFehrman. 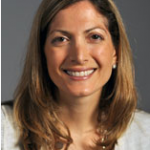 Carrie Gonnella is Senior Program Director of the CASE Initiative on Impact Investing (CASE i3) and Social Entrepreneurship Accelerator at Duke (SEAD). 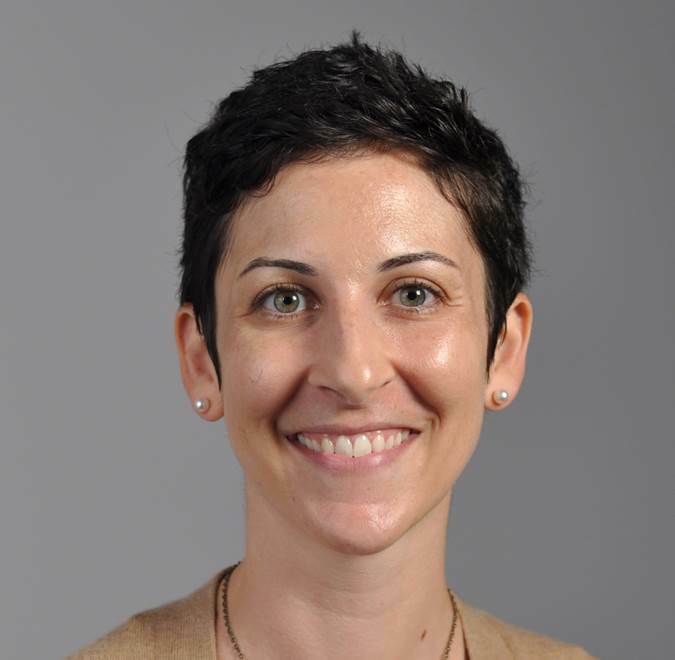 As Program Director for CASE i3, Carrie helps manage partnerships, engages stakeholders to define the future strategic direction of CASE i3, and works with CASE i3 student Fellows and Associates. For SEAD, Carrie supports global health innovators to help them scale their impact, and helps manage the impact investing pipeline for SEAD entrepreneurs. Carrie received her Master of Business Administration and her Master of Environmental Management from Duke University. Before joining CASE i3 and SEAD, Carrie worked for B Lab managing the assurance process for certified B Corporations. Carrie has also served as an Environmental Defense Fund Climate Corps Fellow and a Teach For America Corps Member in the Bay Area of California. Follow Carrie on Twitter @CarrieGonnella. 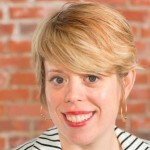 Kimberly Bardy Langsam works from CASE as the Senior Program Director of the Social Entrepreneurship Accelerator at Duke (SEAD), as well as with CASE and CASE i3 on online learning initiatives. Kim manages the research and evaluation agenda for SEAD, working with faculty, staff, and students to build the knowledge base around scaling innovations in global health. Additionally, Kim oversees SEAD’s student engagement activities, working with a student advisory council to identify ways to inspire and engage the next generation of development professionals who will bring innovative thinking to their work. Kim was previously a Health Development Officer in the Office of HIV/AIDS at USAID where she worked on PEPFAR’s supply chain management initiatives and worked closely with USAID Missions and multilateral partners. Kim has a BA from the University of Pennsylvania, and an ScM from the Harvard School of Public Health. Josh Dixon is the CASE Marketing and Communications Coordinator. Josh oversees CASE’s marketing and communications strategiesacross all of CASE’s marketing channels. He manages the CASE web presence, social media channels, and marketing materials. In Josh’s previous role he was the Marketing Specialist for the Department of Psychiatry and Behavioral Sciences at Duke University’s School of Medicine, where he managed the department’s internal and external communications strategies. Follow Josh on Twitter @DurmDixon. Tanaya Suddreth Lynch is the CASE Operations and Events Specialist. She provides executive support, office management, and events coordination, including leading our CASE Executive Speaker Series and working on student events such as the annual Sustainable Business and Social Impact (SBSI) Conference. Tanaya received her Bachelor’s in Public Health Education and Master’s of Public Affairs from the University of North Carolina at Greensboro. Her background is in adolescent health and social justice. She has a broad range of leadership experience in the nonprofit sector including program, event, and volunteer management, as well as fundraising. 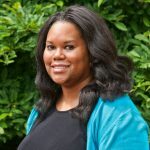 She has worked with organizations including the National Conference for Community and Justice of the Piedmont Triad and the United Way of Greater Greensboro. Currently, she serves on the Board of Directors of the Young Nonprofit Professionals Network (YNPN) of the Triangle, a nonprofit organization dedicated to cultivating and supporting young nonprofit professionals by fostering networking, skill-building, and resource-sharing. 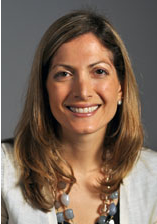 Ruth Tolman is the Assistant Director of Student Services for the Daytime MBA Program. Her primary responsibilities include working with student club leadership, advising the Net Impact Club especially, and administering select programs that enhance the social impact dimension of the MBA student experience. Ruth began her work at Fuqua in 2007, working as Program Manager and later, Assistant Director of The Center for the Advancement of Social Entrepreneurship (CASE). In her role at CASE, Ruth similarly supported the Daytime MBAs interested in social impact with advising, program, and event management related to social entrepreneurship. 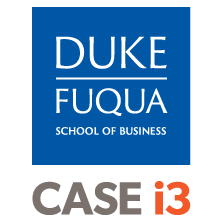 Prior to coming to Fuqua, supported MBA programming at the UNC Center for Sustainable Enterprise (CSE) at the Kenan-Flagler Business School. Ruth has a B.S. in biochemistry from Brigham Young University. Mackenzie directs student programming and employer relations for social impact and sustainability related careers in the Career Management Center. In her role she helps students put their MBA’s to use in jobs where they do well while doing good. She also works to connect social sector employers with Fuqua students. Over the past year she has been invited to be panelist and speaker both the Net Impact and MBA Career Services and Employer Alliance annual conferences. Before joining Fuqua in Sept. of 2013, she spent 7 coaching undergraduate and graduate business students at the University Minnesota. In her former life, Mackenzie worked in policy and politics. Directly after getting her BA from Oberlin college, she worked as a legislative and committee aide for the Ohio House of Representatives. She then went on get her masters degree from the Humphrey School of Public Policy at the University of Minnesota. She spent nearly 10 years lobbying on behalf of nonprofits, mainly on workforce and employment issues. A Minnesota native, she also spent time working as a volunteer forest ranger in the Boundary Waters national wilderness.